Topics: Bills being introduced, history and education. offered at Eastern New Mexico University - Ruidoso. BUS 206 U is a three credit course. This course is an introduction to the skills and personality traits needed to overcome the risks and efforts to start and operate a new business. Topics also covered include the structure of ownership, sources of capital and information, dealing with diversity and uncertainty, and the forces of changing social and economic conditions. Join "Harvey T." and Rep. Zack Cook on the Morning Show at 8:05am! 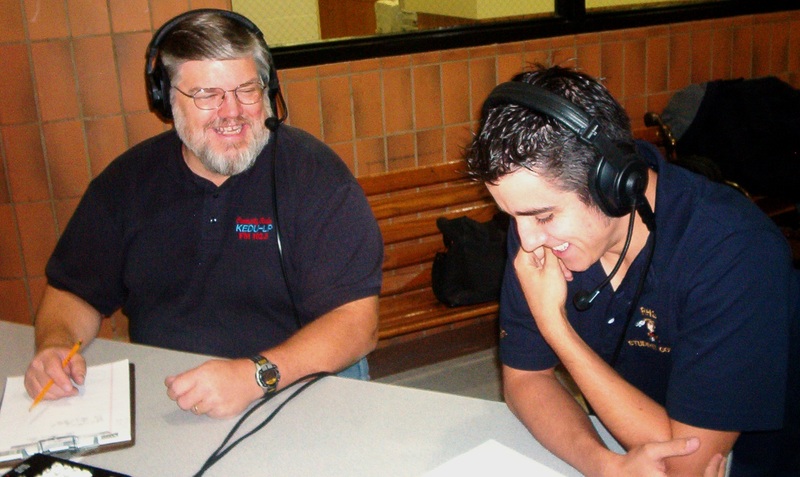 1-12-09 Guest: 8:10am - Fred Nathan - Founder, "Think New Mexico"
Topic: New Mexico State Budget Town Hall - Hear It. 1-5-09 Guest: Fred Nathan - Founder, "Think New Mexico"
Think New Mexico's Pay to Play Reforms Receive Supportive Editorials from the Santa Fe New Mexican, the Las Cruces Sun-News, the Truth or Consequences Herald and the Rio Grande Sun. Special: New Mexico State Budget "Town Hall"
January 15-16, 2009, Call (575) 354-3352 for more information. About Matt Rush: Matt’s roots in agriculture are deep. He’s the 5th generation in his family to be a farmer and cattle rancher. Since the time he was a child this is all that he ever wanted to be and he’s never wavered from that dream. 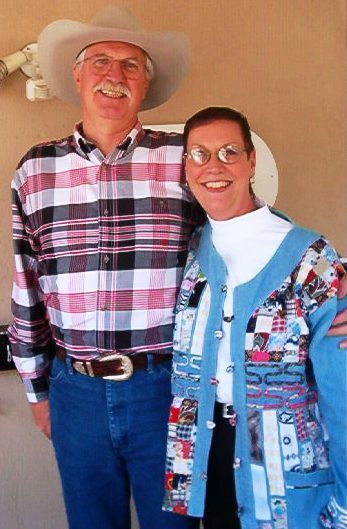 His family has been farming and ranching in New Mexico since the early 1900’s and he currently partners with his dad on their cow/calf and farming operation. The first speech he ever gave was the FFA Creed, where he ended up winning second in the state and his first “Blue and Gold” jacket. Since that time, he’s gone on to win numerous awards and has traveled nationally and internationally motivating, entertaining and inspiring his audiences. Welcoming special guests "Tolik" and "Katya", and their stories. Hear It Now. "YWAM" are people of all ages, from over 149 nations, united in our common passion to know God and to make Him known. 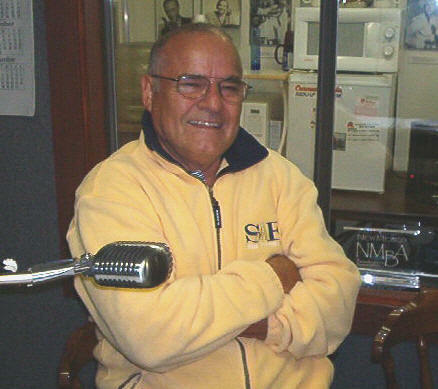 11-24-09 Guest: Jerry Stewart, Host, "One Moment In America." Author of " Saving America," "What We Must Do Now To Save Our Off Track Nation"
Our founding fathers knew that the survival of our great nation depended on a faith in Almighty God. This was true in 1776, and it is still true today. But, now our nation and the Christian values that America was built upon are under attack. Its hard to believe, but there are some in America today that, if they had it their way, God would be nothing more than a vague memory left behind in the dusty trails of our history. And that is so sad. "I have been surprised at the minimal attention given to the recent indictment of the heads of CDR, David Rubin, Zevi Wolmark and Evan Zarefsky, all of California. CDR was the focus of attention when Gov. Bill Richardson’s nomination to be Secretary of Commerce was derailed." Ellyn - Stage management and directing responsibilities and will even read some of her notes that she has given to the cast at the end of rehearsals. Ellyn was also the student director of our first Red Feather production last year as well as played two leading roles. William - The show from an acting point of view since he has one of the leading roles. He will discuss the two and half month long rehearsal process, memorization of lines ( there are gazillions ), and even say some of his. He may also comment on the fun side of rehearsals and what it is like to discover Shakespeare. William has played leading roles in last year’s plays as well as this year’s. Preston - The formation of The Red Feather Theatre Company, what we did last year (4 one acts by Yeats, Moliere, Inks, Kashmar) goals of the company (one is to produce student written plays), our first play “Masks, Love and Pirates” written by Hannah Kashmar last year, Drama Festival/awards, the number of students in MSND, parent help, the program, Red Feather Angels (parents and community members who donate time, talent, and $$$$ …..we can always use more). Preston was the student director of our French farce last year (Moliere), and was an actor in two of the plays. Young people could do worse than spend 9-12 hours a week rehearsing Shakespeare and liking it! Given all the negative events of the past two months, the over 60 students in this play have been making very different, radical, positive choices. They just need a task worthy of their enormous energy, creativity, and a venue! RHS Theatre Instructor and The Red Feather Theatre Company the RHS After School Drama Club. Show Times this week end. Tickets at the door. Arrive early. Show starts at 7pm both this Friday and Saturday nights. 11-19-09C Guests: Associate Pastor Jeremy Ray (FBC) and RHS Senior, Chase Travis. offer help, techniques and advice for parents and teens that are dealing with today's issues. 11-19-09 Guest: Sunny Aris, 575 Magazine.Com Update - Host: "Where the Fur Flies"
11-12-09 Guest: Sunny Aris, Host: "Where the Fur Flies"
Back safely from the Dominican Republic and Argentina, Amy shares her latest travels and mission accomplishments with us. She also discusses a new direction for her work and association with the "Word of Life Fellowship." Please keep praying for Amy! Email Amy: Click Here Support Amy Now! Topic: The future of the Mescalero Apache Nation and current challenges. 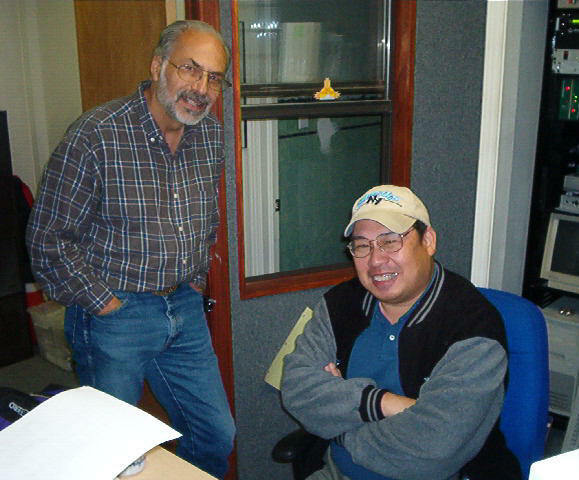 10-22-30-09 Guest: Sunny Aris, Co-founder of "575 Magazine.Com,"
Topics: Local tragedies, and a new program for FBC-Ruidoso. Connect with Dr. Stoddard via Facebook. Connect with Dr. Stoddard on Twitter. Topics: State Budget Deficit, projects, lands and his future goals. Taxes and Tax Cuts, and ethics in government. Auctioneer: Leon Laney of Dalhart, Texas. Door Prizes and Raffles all evening! Tickets: $55/Single, $75/Couple, includes membership! Visit the "Lincoln County" section of the Ruidoso News. 9-29-09 Guest: Coleen Widell, Executive Director of HEAL & The Nest - Domestic Violence Facility. WATS-UP! - The Morning Show features our area Pastors at 8:15am! 9-27 Ruidoso Downs, 9-27 Free Dinner at Ruidoso Downs Racetrack - 5:00pm, Concert at 6:30pm - All events are free to everyone! Join Us! WATS-Up begins Saturday morning at 8:00am! For more information, call (575) 257-4381, or click here. Join us for "Morning Show" at 7:00am on KEDU Radio. Click on the link to see and hear today's show! for the Performing Arts in Alto, NM on 9-25-27th. Concert at 6:30pm - All events are free for everyone! Come and join us! Jeremy Ray join Harvey on the "Morning Show." Interview: Guests NYPD Det. Mike Valentin, and Officer Patrick Viola. and the creation of the 9/11 Police Aid Foundation Organization. committee member. 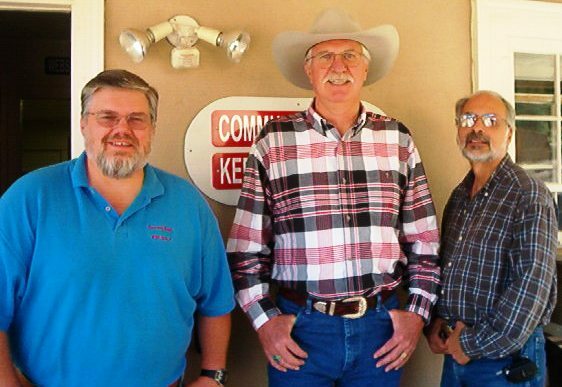 Bob Decker offers a candid discussion about a new report update on Ruidoso's Comprehensive Plan. A ten year look at things to come. surprising facts about how Christians can stand-up for their beliefs. NM Supreme Court says "OK" to High School DWI Court"
DWI defendants, held before 400 high school students. and discuss the effects of DWI on their lives. (KEDU Radio, Ruidoso) US Senator. Tall" meeting Tuesday morning at the Ruidoso Civic Center. The Senator was delayed for over thirty minutes due to fog in Sante Fe. Over 300 area residents were on-hand for the event. Fifteen people were selected from the crowd. The most notable and audible as Udall hosted a public "Town Hall was Dr. Ray Seidel of Capitan. Hear the Town Hall. Just a note to encourage you to join the ENMU Community Choir! Danny Flores is the Director, and Waynta Wirth will be the accompanist. Join by registering for Music 126 at ENMU Ruidoso. There is still scholarship money available to cover the tuition--just ask about it and fill out the application when you register. Registration is going on NOW. The choir will rehearse on Monday nights from 6:45 until 8:30 in the Ruidoso High School choir room, starting on Monday, August 24. There will be a dress rehearsal on Saturday, December 5th, from 1-5 pm, and the Choir will perform on Sunday, December 6th, at 4 pm, at The Spencer Theater for the Performing Arts in Alto, New Mexico. If you have questions, you can call Danny Flores at 258-3253 or the ENMU-Ruidoso at 257-2120. 8-25-09 Guest: Sharon Lombardi, Executive Director of the Dairy Producers of New Mexico. the 9/11 attacks, in New Mexico and Ney York. Bill talks about his life during and after. The discussion features topics about the tribute and the fundraising efforts for support. "Harvey T." - "Flyin' The Colors"
second term. I'll let the people decide." - Comm. Earl Hobbs on KEDU Radio. Hobbs made two appearances on KEDU on Tuesday. Hear are the interviews. The Morning Show welcomed Bostonian Steve Mark. clients is the New York Sharks Women's Professional Football Team. Steve is in town to enjoy the sights and sounds of historic Lincoln County. Plus, he's getting a "hands-on" view of KEDU. 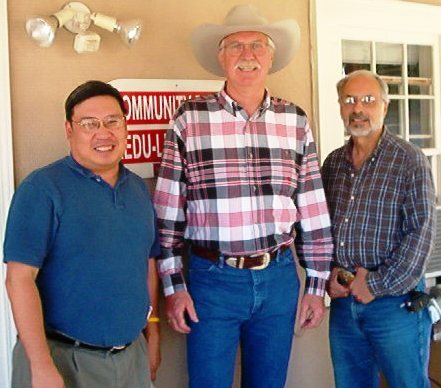 We hope to have more about Steve's visit to Ruidoso in the days to come. arbitrary and outward signs, the measure of Time, not Time itself. Ruidoso (KEDU) - The Lincoln County Cowboy Symposium brought a few friends by the KEDU Studios. Steve Mark, webmaster for the New York Sharks stopped by. Dakota & Sunny Livesay were in town for the Symposium. Dakota is the host of "Chronicle of the Old West." Former Lincoln County Commissioner Leo Martinez to discuss important community issues.